This autumn/winter is all about women’s fashion. No one really cares that the months ahead are going to drop a few degrees; there really is a lot to get you feeling warm and fuzzy. We have scoured the runways from London, Paris, Milan and New York to bring you the very best of autumn 2013 fashion trends for women. These are simply must have pieces for every fashion forward woman, for every conceivable occasion. There is no excuse not to look your best for the coming seasons. Below are some of the trends that we unearthed, and how to wear them. The trend has been seen with Versace, Saint Laurent, Givenchy and Mulberry, so there is no shortage of choice here. 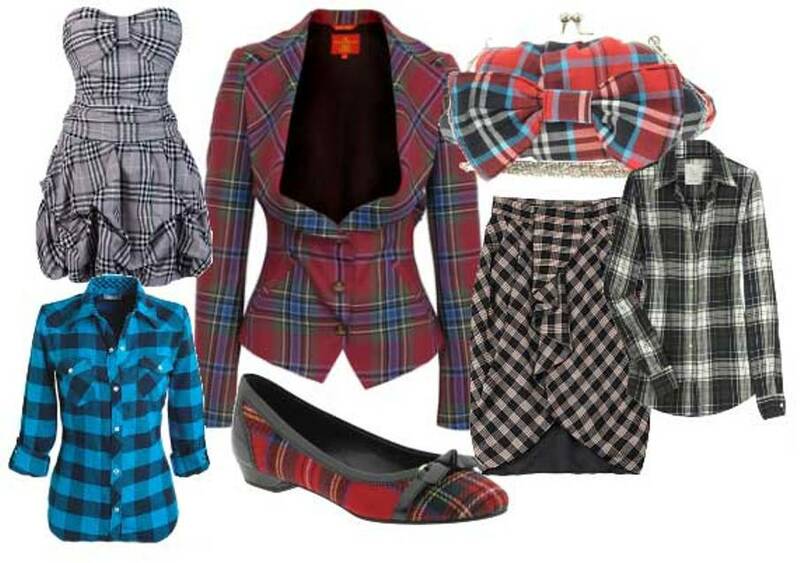 Whatever name you want to call it by, be it tartan, plaid or check, this is definitely the top trend for autumn 2013. Every girl must have at least one tartan item in her wardrobe. You can layer it up to keep warm and look great for a cozy day-time look. Make no mistake, punk is back. This includes Isabel Marant, Versace, Saint Laurent and Chanel among other top designers. The Punk look is a welcome change from the seemingly endless 80s throwback, and has made an impact at the recent Met Gala. Some of the big names here include Victoria Beckham, House of Holland and Christopher Kane. Skirts are nothing new this year, and we have seen a lot of them in the spring/summer collections. Skirt suits are definitely in this autumn/winter, where the skirt suit, as we know it, is deconstructed. For a casual appeal, add a jumper to the skirt suit. This is a great look for the office or a night out after work. Bold prints are also definitely in this time around, bringing the beloved classic skirt suit to life. Some great names here include DKNY, Vivienne Westwood, Peter Pilotto and Carven. This winter will feature oversized outerwear. When you think about it, your wardrobe will be covered by your coat, but you can still make it work. Make a statement with oversized outerwear. This is a true testament that fashion can be cozy, so stay warm this season! We have seen pink in DKNY, Jonathan Saunders, Craven and Marc Jacobs’ collections. 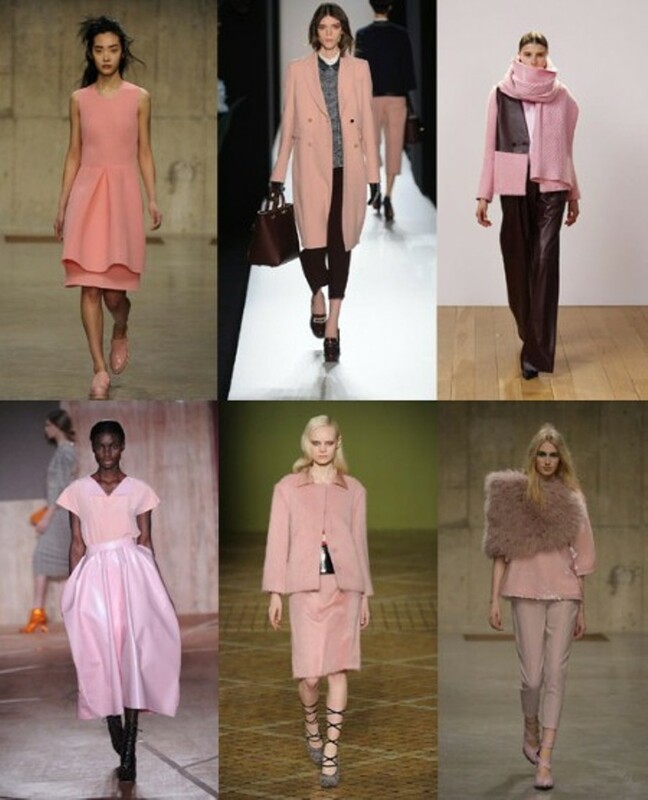 Again borrowing from spring’s trends, pink is in this autumn/winter. For winter, you want to go with berry or dusty rose pink shades. This is the color to embrace, and it’s a great hue for a new season. Some of the designers that have embraced menswear this coming season include Emporio Armani, Richard Nicoll, Donna Karan, Antonio Berardi and Haider Ackermann. Make sure to get a good cut, and wear it with confidence. 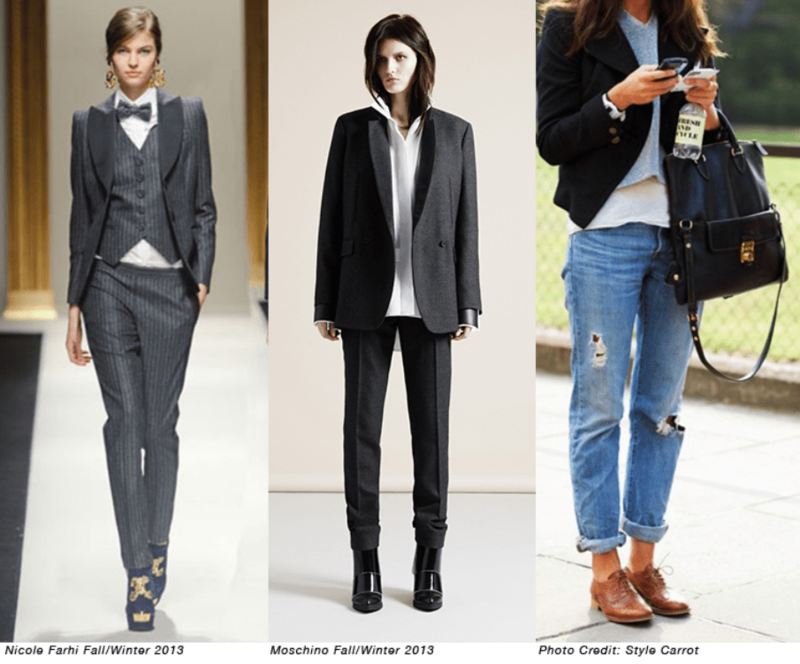 You don’t have to restrict yourself to trouser suits, and try to experiment with different tailoring. You can also use your shoes and bag to give your look a feminine appeal. Another great way to jump on the menswear wagon is to accessorize with messenger bags for women. This is definitely one for the more adventurous fashions out there. Some of the designers include Alexander McQueen, Dolce & Gabbana, JW Anderson and Valentino. The design features a pious look but needs to be structured correctly and accompanied by the right accessories. Dolce & Gabbana went with the in-your-face approach featuring rosaries and saints on the catwalk. For a more understated but equally fashion forward look, Valentino and McQueen are definitely the go to designers. 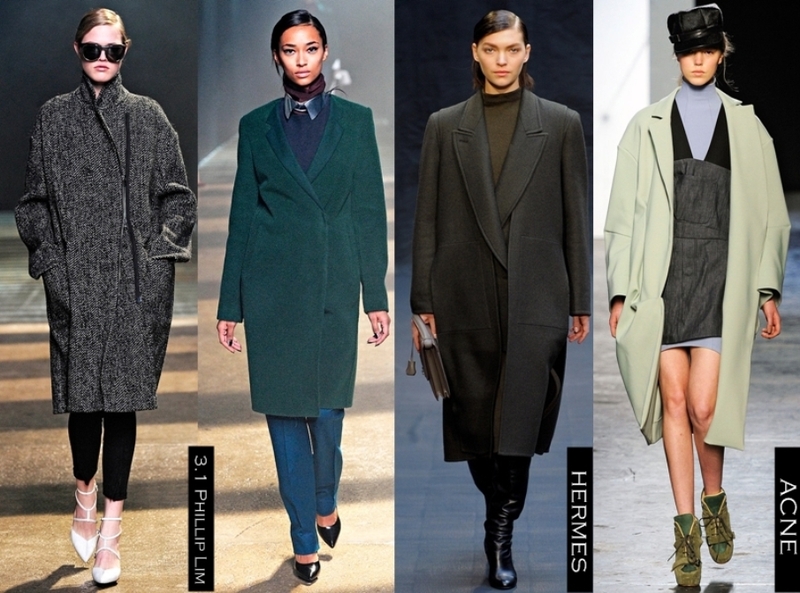 You can learn more about the fashion do’s and don’ts for autumn/winter 2013 here. Soft pink: as previously mentioned, pink is one of the autumn colors, so try to incorporate this in your accessories. Whether it is a new clutch or handbag try different shades of pink. Punk pumps: to complement your mohair and tartan trews for the ultimate punk image, you will need a pair of platform Converse sneakers. It is all about studs and heavy duty soles this coming season. Rare gems: experiment with rare gems in jewellery this coming season and you will not be sorry. A sparkling turquoise collar, or a striking bracelet is a great way to bring your whole outfit together.